Providing an efficient Sports ground for anyone who plays is essential. It is important that anyone with energy who also enjoys playing sports, whether friendly, practise or tournaments, has the correct facilities and playing ground needed for their skill. Many companies who specialise in exercise, sports or training supply grass for their service, however this requires much more work and with busy lives already, no one wants added stress. Why find time in your busy schedule to trim, mow, replace and maintain a sports ground when you can simply save time by purchasing a specially fitted sports service. At The Surfacing Company we do our best to supply you with excellent service in all the areas we cover. After 18 years in this competitive industry we have successfully found an answer to providing you with excellent service. 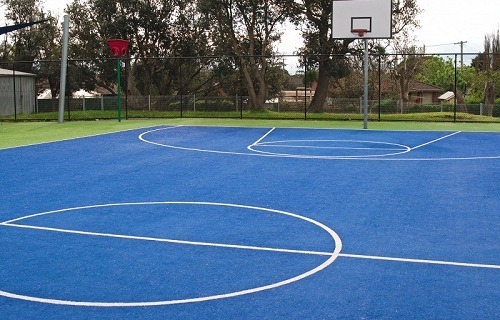 We have also gained enough knowledge to ensure we give you the very best quality Sports Surfaces. Our team understand that everyone has different needs and requirements, that is why we will talk you through the process, listen to your opinion and then tailor products to your specific requirements. 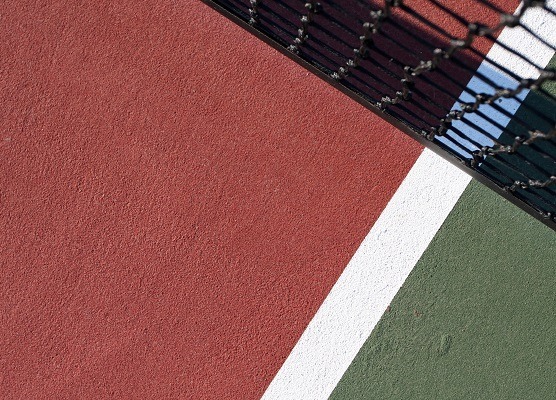 Not only do we supply and fit Sports surfaces, we also like to pay high attention to detail, in order to achieve this we include sports lines, designed specifically for the sports of your choice. No longer will your customers who hire out that hall or patch to play be placing down cones or items to mark out goals and in lines. Our service takes approx 7 days to complete, we are a fast and efficient company, looking to get the job done right.